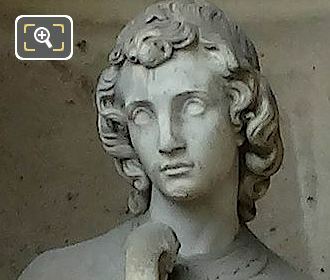 While we were at the Musee du Louvre in the 1st Arrondissement of Paris, we took these high definition photos showing a statue called Art Chretien, which was sculpted by Emile Chatrousse. 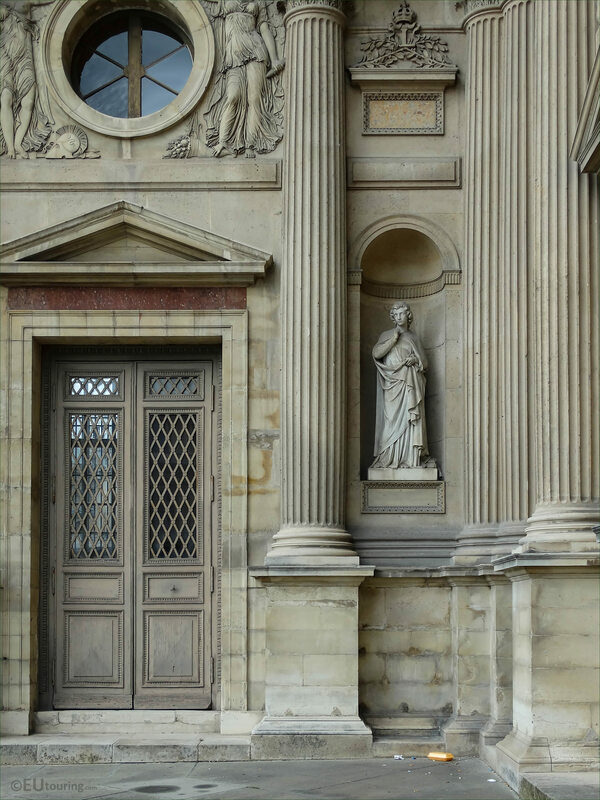 This first HD photo shows the statue called Art Chretien, which is an allegorical marble statue that translates in English to Christian Art, and this was placed on the wing of the former Palais du Louvre called the Aile Nord. You will find that this marble statue of Christian Art was produced by Emile Chatrousse who was born in Paris in 1829 from humble beginnings starting work at the age of 11, but later he studied at the workshop of Francois Rude and became a French sculptor. 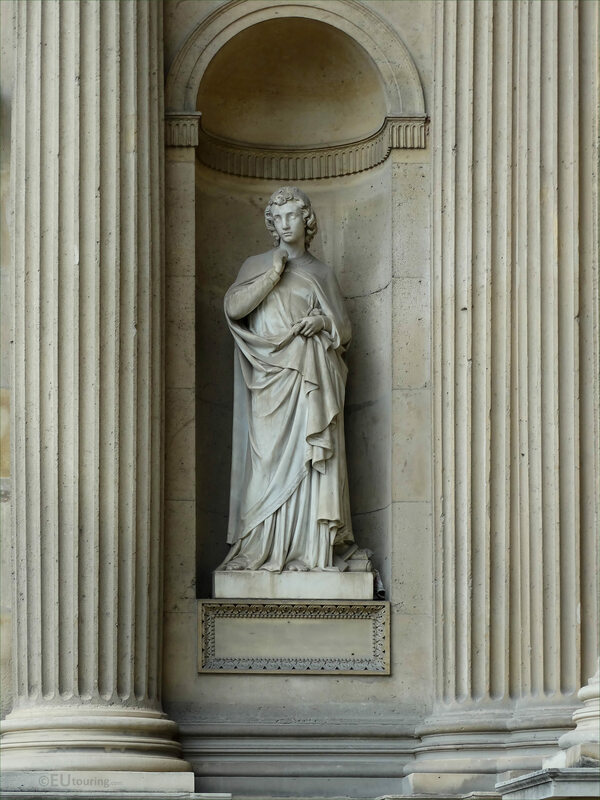 Yet his life was still not without its difficulties, as even while receiving many commissions for statues on tourist attractions including this one of Art Chretien for the Louvre Museum and other for churches, etc, Emile Chatrousse had to raise his three young children after his wife died. 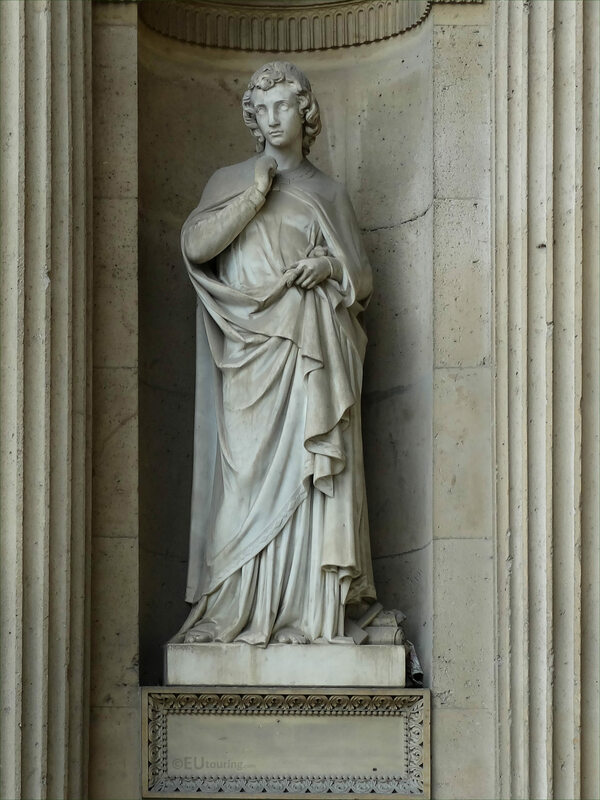 But Emile Chatrousse also became a recognised writer and art critic, plus was a member of the council for the 14th Arrondissement of Paris and was awarded the Legion of Honour in 1878, having won several medals previously for different works. However, this photograph shows the location of Art Chretien positioned within a niche on the lower level of the Aile Nord, and when you are in the courtyard of The Louvre called the Cour Carree looking at the south facade, you will see this is located on the far right hand side of this wing.